Train slams into 18-wheeler in N. Harris Co.
HARRIS COUNTY, TX (KTRK) -- Some scary moments during the morning commute when an 18-wheeler was struck by a train. The accident happened on East Richey at Hardy Road. 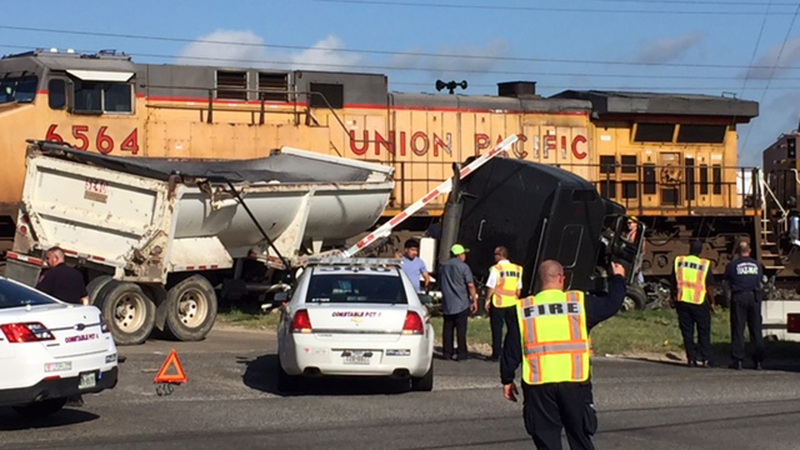 Investigators say the tractor trailer broke on the tracks, leaving it stranded in the train's path. The train smashed into the truck, stopping traffic on East Richey.